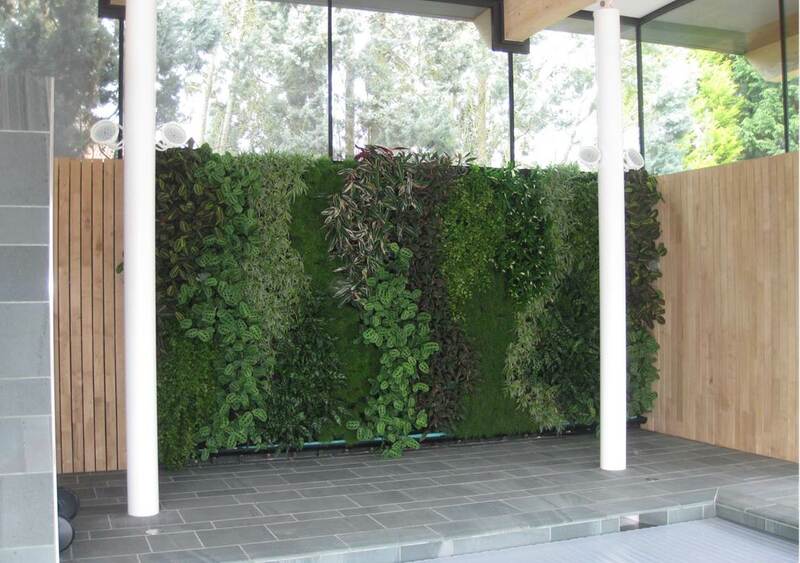 Living walls are fast becoming popular not only commercially but also in private gardens. 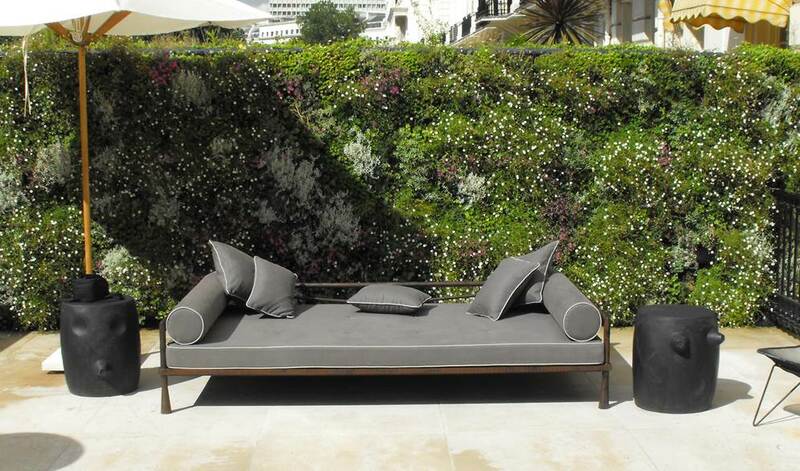 Urban gardens are becoming smaller and smaller resulting in less useable garden space. 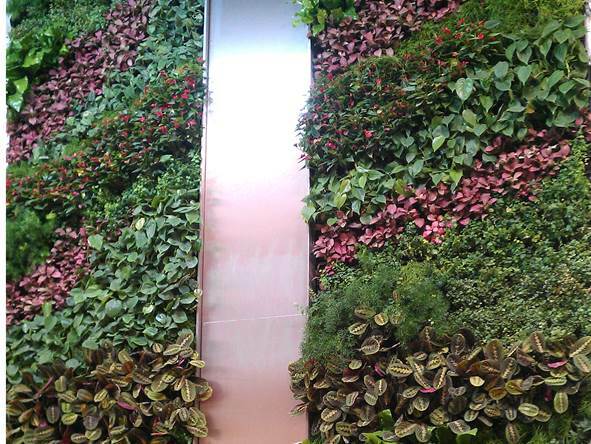 Making use of vertical structures such as a garage wall or even an internal wall by installing a green ‘Piece of Art’ can totally transform a space. 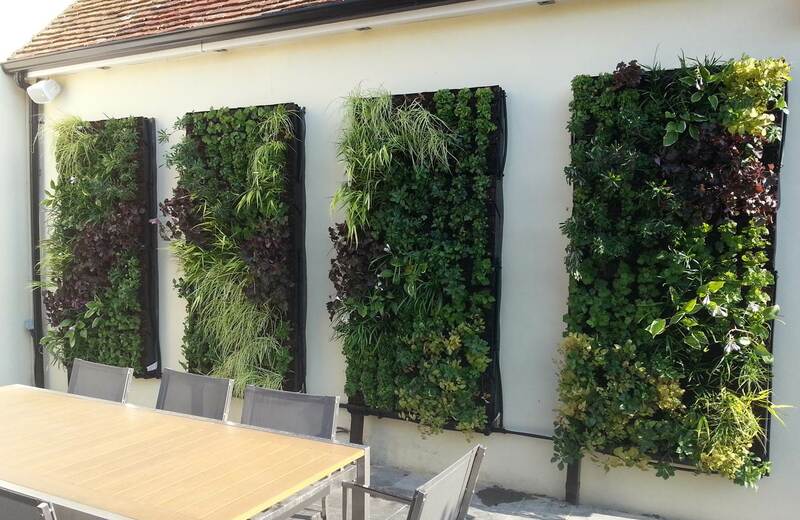 There are different ways that living walls can be constructed however we prefer to used a tried and tested hydrophilic soil based system. The ANS system is also modular with an integrated irrigation system so that maintenance or any repair that may be required in the future is straight forward and simple. 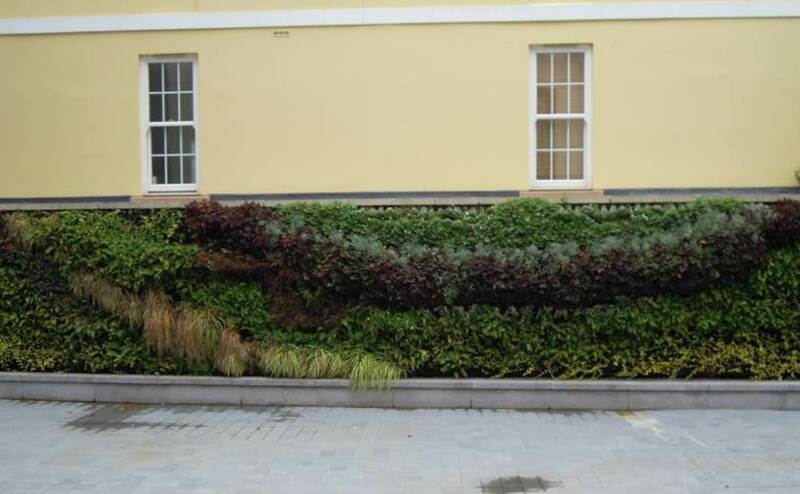 We would supply and undertake a maintenance schedule for installed walls that can be complex.